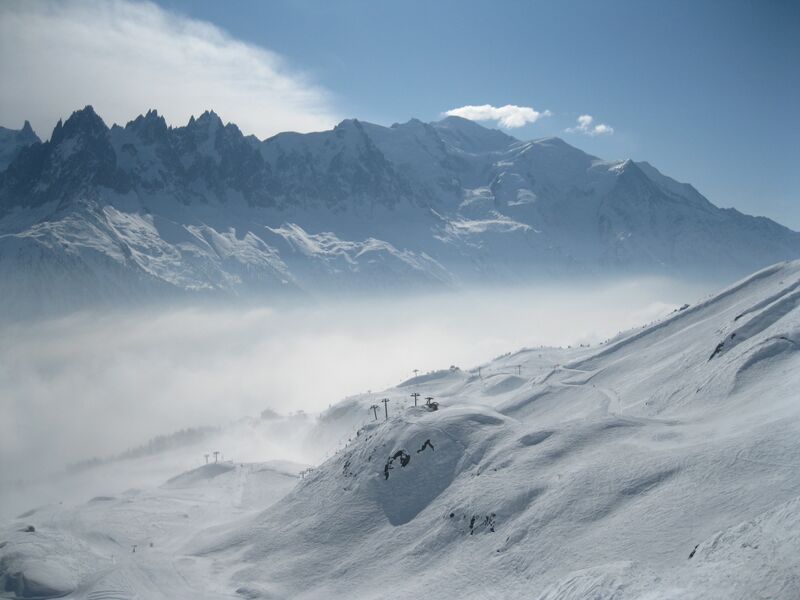 Chamonix Skiing | Where is Yvette? ← Skating on the Amsterdam Canals! 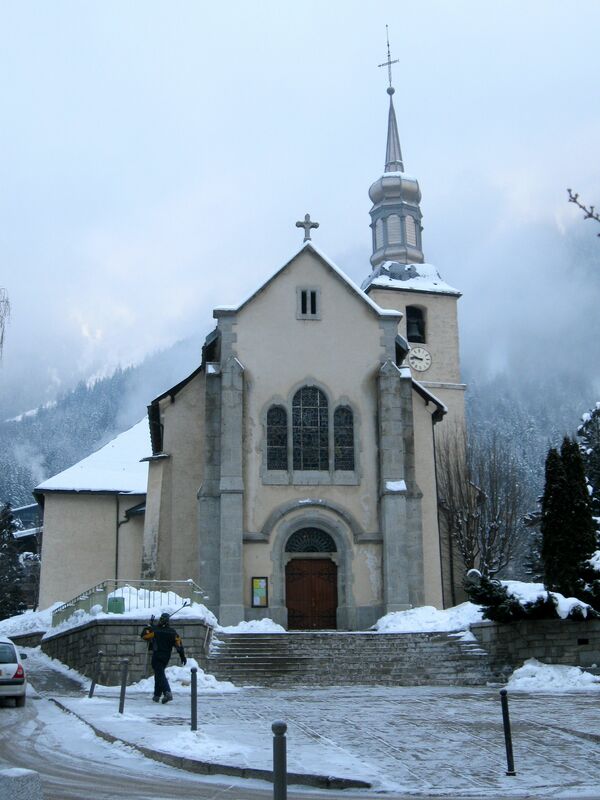 Chamonix is, of course, world-famous as the little town in the valley of the formidable Mount Blanc, the highest mountain in Europe. (It’s also lucky that the name is in French so it sounds cooler than it really is. Seriously French people, you have the tallest peak on a continent and all you can think up is Mount White?! Next you’re going to just call the glacier on it “The Sea of Ice”… oh.) You can ski on Mt. Blanc itself on the glacier, but it’s also highly recommended you do so with a guide and several people die every year doing so, so that didn’t happen on this trip. 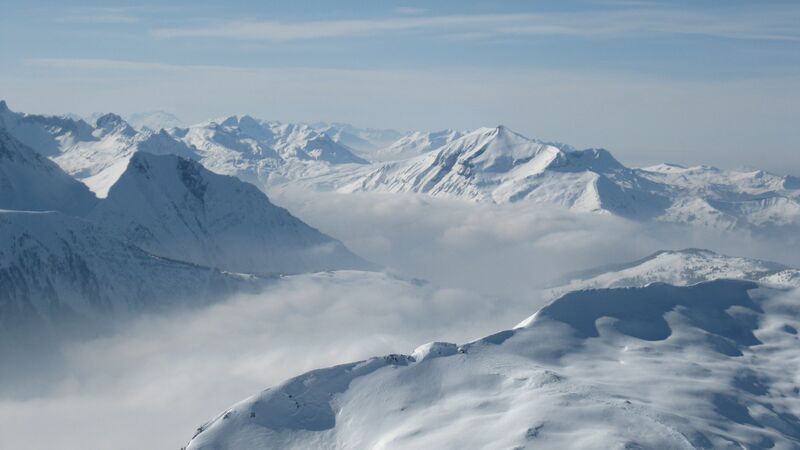 There’s more than enough piste skiing in the area on the surrounding peaks anyway. Seriously, Chamonix is the sort of place that makes you realize why skiers typically use phrases in conversation that otherwise are reserved for drug addicts. Flying high through the air with light dancing all around! Deep bowls of white powder everywhere! It’s all you can think about and it’s going to kill you eventually! 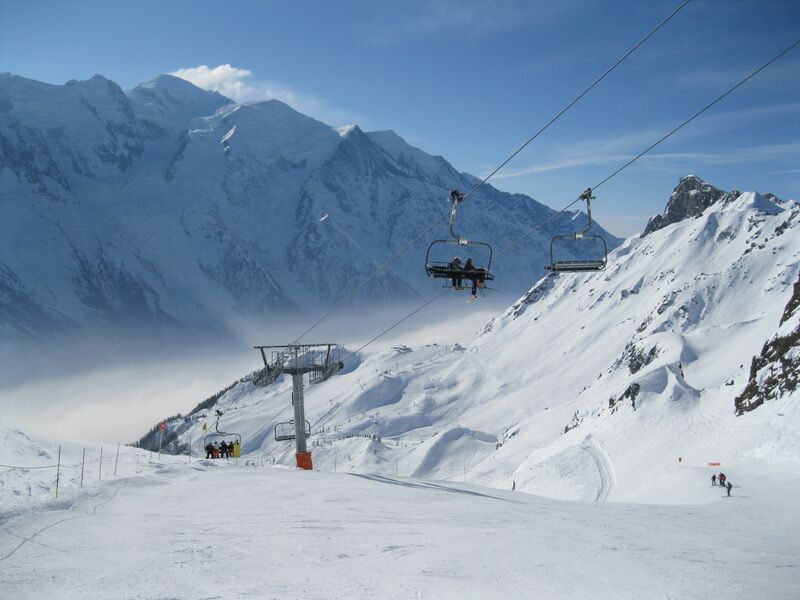 The most interesting phenomenon I noticed at Chamonix while skiing by the way happened on the first day due to the curious detail of skiing above snow clouds. It turns out if it’s not windy then snowflakes which are basically flat ice crystals will orient themselves parallel to the Earth’s surface as they fall (like a feather), and this will result in a glowing spot the same degrees below the horizon as the sun is above the horizon called a sub-sun when looking at the cloud below you. Hey, for me this is exciting! 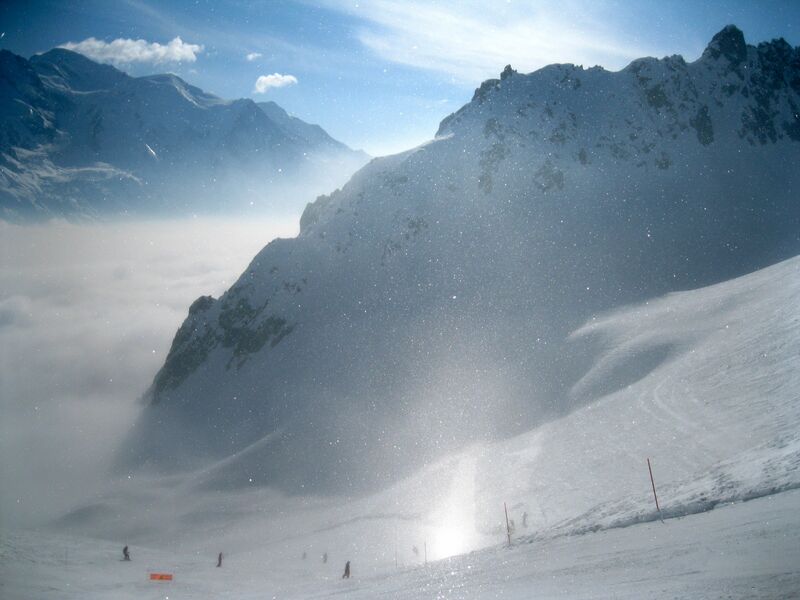 The sub-sun would also be visible right when you skied into the snow-cloud from above- a slightly disturbing thing each time, as your instinct is to question whether your vision is going when sparkly points abruptly begin swimming all around you. 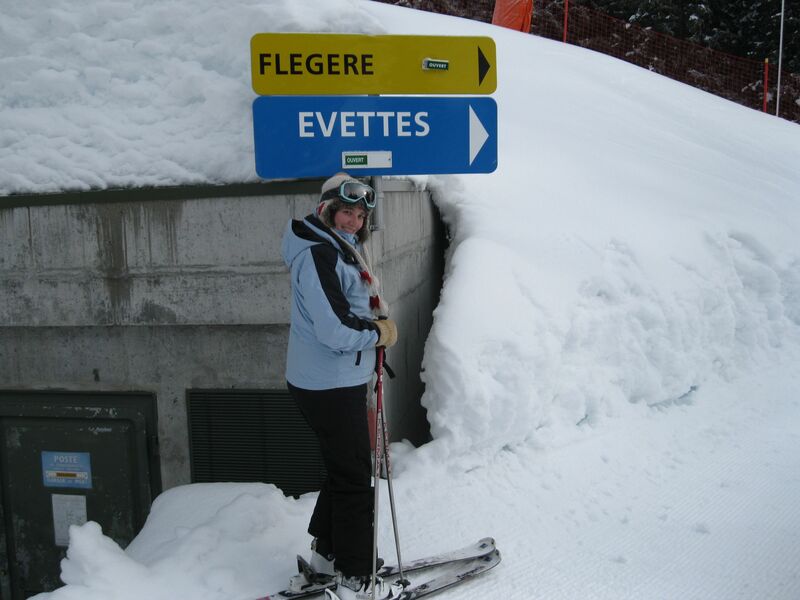 But that wasn’t the coolest thing in general I found in Chamonix- that honor was reserved for the discovery that they have both a piste and a chairlift named after me here! As someone who spent many years of her childhood forlorn that she couldn’t find any vanity items in crappy gift shops with her name on them, a whole section of a major ski resort is like hitting the jackpot. Pity they made a typo though as I would expect the French of all people to know how to spell my name properly, but then these are the guys who gave us good ol’ Mount White so I guess one can’t demand too much from naming around here. This entry was posted in France, Science!, Skiing. Bookmark the permalink. I’ve been living here so long I forgot what mountains looked like. Great photos. Thanks! Yeah there was definitely some excitement on the drive in- wow, not flatness!